See more of our worker videos here! There are 16 million union members across the country, and over 200,000 working families in San Diego and Imperial Counties. We are workers in hospitals and nursing homes, auto assembly plants and on construction sites, trains, buses and airplanes. They are security guards, engineers, office workers, musicians, electricians, postal workers, janitors and more. WANT TO BECOME A UNION MEMBER? Federal and state laws guarantee the right to form unions! Eligible employees* have the right to express their views on unions, to talk with their co-workers about their interest in forming a union, to wear union buttons, to attend union meetings and in many other ways to exercise their constitutional rights to freedom of speech and freedom of association. For more information, click here. To form a union on the job, you need the backup and hands-on assistance from the union you are seeking to join. If you don’t already know which union is best suited to help you, if you don’t already know which union is best suited to help you, call the Labor Council at 619-228-8101, we can help you select a union. 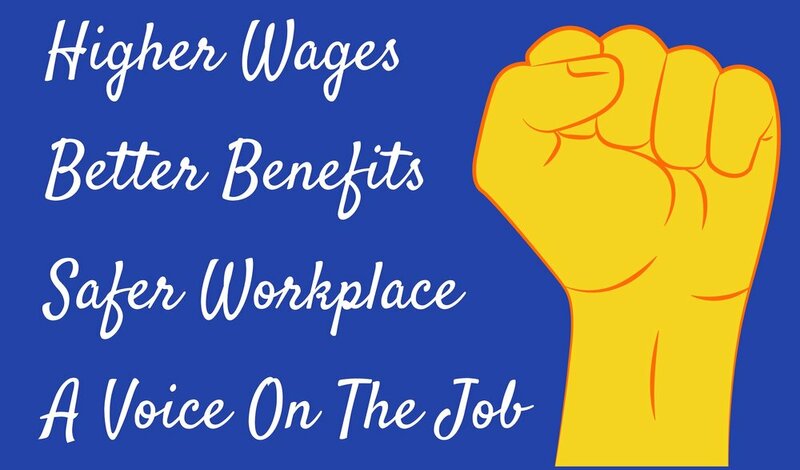 Union organizers assist employees in forming unions on the job to give them the same opportunity for dignity and respect, good wages and decent working conditions that union members already have. 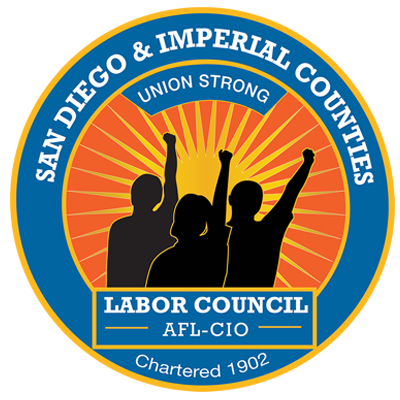 To connect with a union organizer, call the Labor Council at 619-228-8101. In October 2018, More than 160 San Diego Hotel Workers took on Marriott - the largest and most powerful hotel company in the world. Marriott workers were often paid so little they had to work two or three jobs to survive. When Marriott refused to pay them a fair wage - they went on strike. Hotel housekeepers, banquet servers, and room attendants sacrificed their paychecks and to force the hotel giant to provide fair wages, stable healthcare costs and a secure retirement. 7,700 of their fellow UNITE-HERE Marriott hotel workers across the nation joined them - saying “One Job Should Be Enough”. The Labor Council was there every step of the way - bringing firefighters, teachers, construction workers, janitors and domestic workers to walk with them side by side. The Labor Council used its power to rally elected officials and community leaders to stand up and fight back. 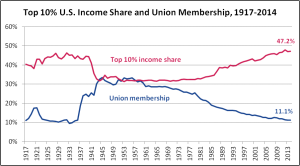 After 35 days - workers brought a $36 billion corporation to its knees. As all the hotels compete for workers, they will be forced to pay higher wages at both union and non-union hotels. In their fight for a fair contract, UNITE-HERE workers raised wages and working standards not just for themselves but for all workers.